While acupuncture was once an unusual form of alternative medicine, new research is showing the benefits of acupuncture for joint pain, muscle pain, headaches, and more. At River Oaks Chiropractic Clinic in Fort Worth, Texas, the team offers personalized acupuncture sessions to address your symptoms and help you feel your best. Acupuncture can be used by itself or in addition to other treatments so you can recover from pain and discomfort sooner. To schedule a consultation, request an appointment call today. Acupuncture is a form of traditional Chinese medicine (TCM) that uses sterile, hair-thin needles to relieve pain and inflammation and help your body to function better. Tiny needles are inserted at specific places on your body, often on your arms, hands, legs, and feet, to address your symptoms by improving the flow of qi — energy — in your body. Acupuncture theory believes that qi flows throughout your body similar to blood flow and maintains good health. When qi becomes blocked in an area, such as a joint, muscle, or organ, you experience symptoms at that site. Most symptoms are associated with pain, inflammation, and discomfort, though acupuncture can also alleviate digestive complaints, headaches, fatigue, and PMS symptoms. When an acupuncture needle is inserted, it helps to unblock the flow of qi so that your body’s energy can help you heal naturally. There are hundreds of acupuncture points all over your body where needles can be placed safely. Your provider works with you to be sure that the acupuncture points used during your treatment are best suited to your condition and are used as painlessly as possible. Current research shows that when an acupuncture needle is inserted into your skin, receptors in your skin signal your brain to perform certain tasks. Some of these tasks include increasing blood flow to an area to reduce inflammation, disinhibiting pain signals for pain relief, and increasing gut motility for better digestion. 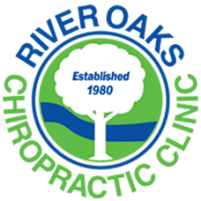 If you’re unsure if acupuncture is right for you, discuss your symptoms with the team at River Oaks Chiropractic Clinic and they can recommend an appropriate treatment approach. What should I expect when getting acupuncture? When you arrive for your acupuncture session, you lie down on the treatment table and your provider uncovers your skin for treatment. Your provider then cleans your skin with rubbing alcohol and inserts that acupuncture needles. When the needles are inserted you might feel a mild prick or pinch. The needles are left in place for 20-40 minutes and then removed before your skin is cleaned again. Multiple sessions are often recommended for maximum benefits. To find out if acupuncture is right for you, call River Oaks Chiropractic Clinic or schedule a consultation online now.